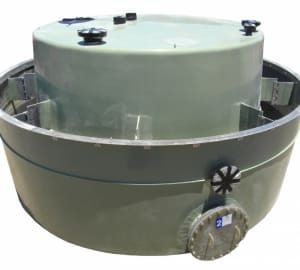 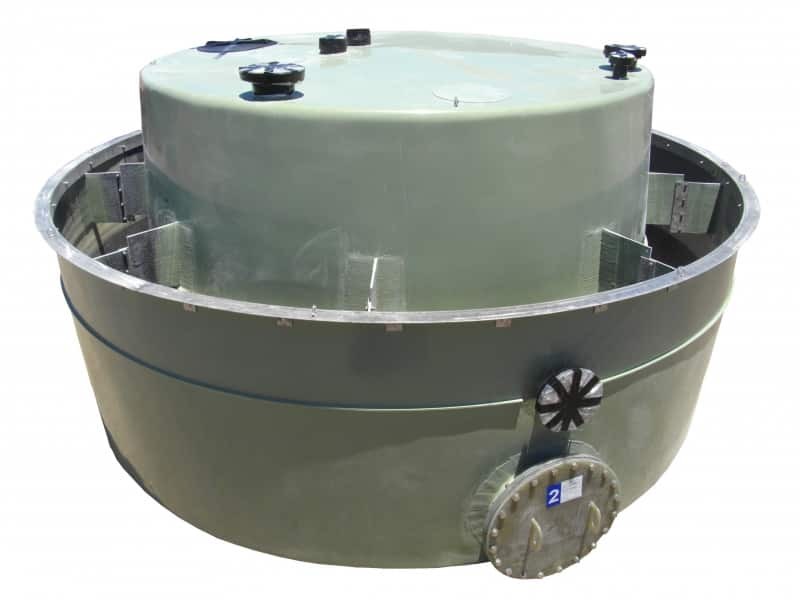 Tanks West has been manufacturing chemical tanks for a range of industries since 1992 so we understand the potential hazards associated with storing volatile liquids. 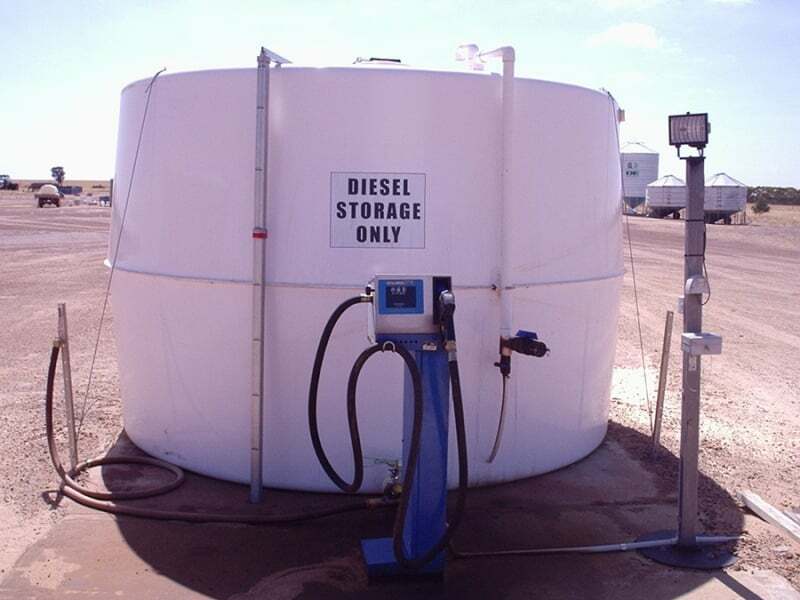 This is why we work closely with you to determine your exact requirements to provide the most effective and economical solution. 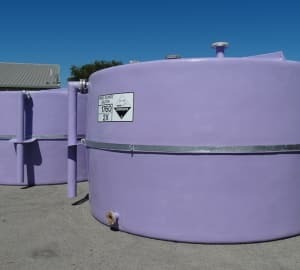 Access to a range of polyester and vinylester resin systems and advanced manufacturing technology, allows us to customise your tank to store a range of liquids including sewerage, alum, hyper-saline solutions, oils, mild acids, glycol and flocculents. 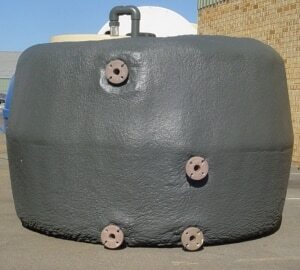 Heavy duty, chemical grade fittings in sizes up to 800mm in a variety of materials (FRP, brass, stainless and polypropylene) can be installed using threaded or flanged connections to suit your specific requirements. 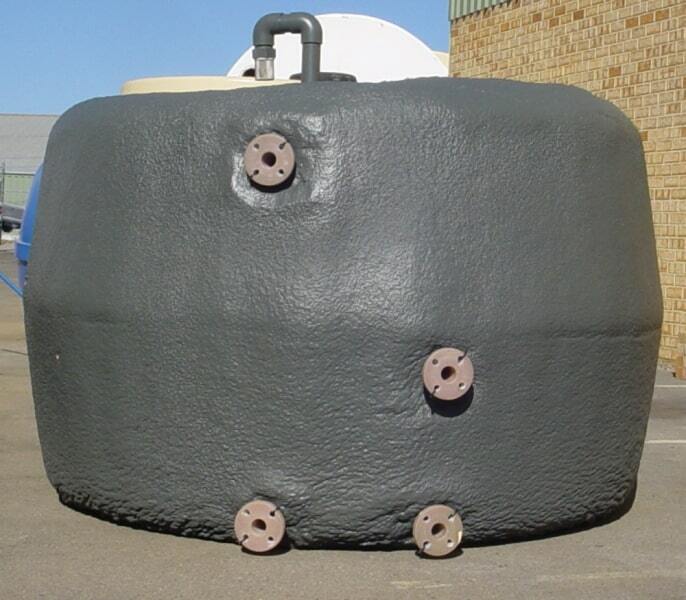 The selection of a specific resin and reinforcement system will depend on the nature of the chemical being stored, its concentration, pH & SG and other environmental and installation factors. 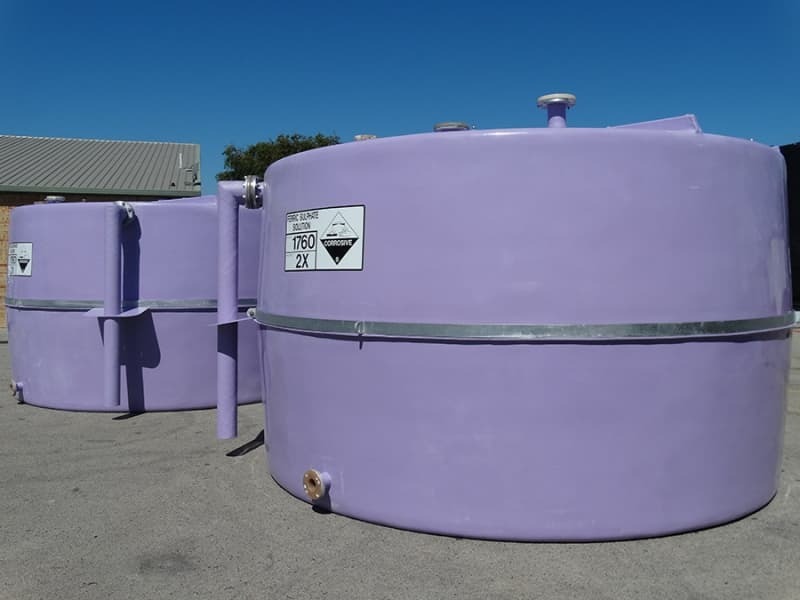 Tanks West technical staff can assist with your design by providing basic schematic drawings and consultations on chemical compatibility as well as area specific hazards related to temperature and UV exposure. 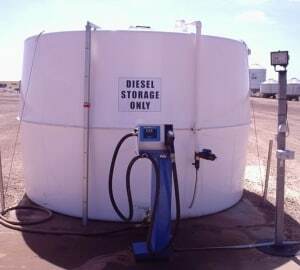 Does the liquid have a dangerous goods rating?